groups of the dye shares an electron pair with the metal and contributes a negative charge to the chelate. Consequently, the blue or black 2:1 (dye:metal) complexes are anionic. Olation of such chelates affects the staining properties of iron hematein solutions. 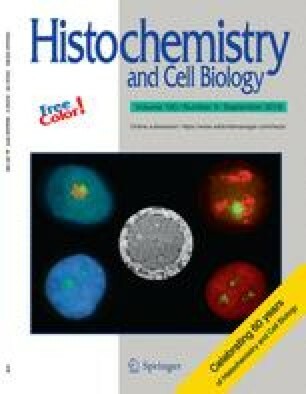 The color changes upon oxidation of hematoxylin, reaction of hematein with metals, and during exposure of chelates to acids can be explained by molecular orbital theory. Without differentiation or acid in dye chelate solutions, staining patterns are a function of the metal. Reactions of acidified solutions are determined by the affinities of the dye ligands. Brazilein is much more acid-sensitive than hematein. This difference can be ascribed to the lack of a second free phenolic −OH group in brazilein, i.e. one hydrogen bond is insufficient to anchor the dye to tissues. Since hematein and brazilein are identical in all other respects, their differences in affinity cannot be explained by van der Waals, electrostatic, hydrophobic or other forces.